Mary Anna Salo joined CCGD in 2015 as accompanist for Concert I Chorus. She began her piano studies at the age of five with her mother. Mary Anna began teaching and accompanying at the age of thirteen. The next year, Mary Anna enrolled in N. Jane Tan’s three-year teacher training program, the Well Prepared Pianist Institute, and was the youngest participant ever to take the class. In 2006, Miss Salo was a semi-finalist in the international PianoArts North American Piano Competition (Milwaukee, WI). She presented the keynote recital at the Well Prepared Pianist Institute’s International Festival in the summer of 2008. Other notable solo performances include the Steinway Gallery of Milwaukee’s Steinway and Sandwich student recitals at the University of Wisconsin-Milwaukee and the Music and More Recital series held at First Presbyterian Church in Racine, Wisconsin. Mary Anna has participated in the young artist program of the Dakota Sky International Piano Festival (Sioux Falls, SD) and the Mimir Chamber Music Festival held at Texas Christian University (Fort Worth, TX). In January 2014, Mary Anna launched Winterpast Recital Series with the goal of giving up-and-coming young artists a performance and publicity opportunity in southeast, Wisconsin. She served as the music director for Calvary Lutheran Church in Brookfield, WI from the summer of 2013 to the summer of 2014. 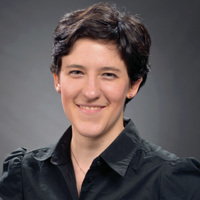 Mary Anna holds a Bachelor of Fine Arts in Piano Performance from the University of Wisconsin – Milwaukee, where she studied with Judit Jaimes and Elena Abend. In August 2014, Mary Anna enrolled in the master’s program at Southern Methodist University in Dallas, Texas. She will complete her Master of Music in Piano Performance degree under the direction of Mr. Alfred Mouledous in May 2016. Ms. Salo has also studied with Dr. Paul Sanchez and Annie Sherter.